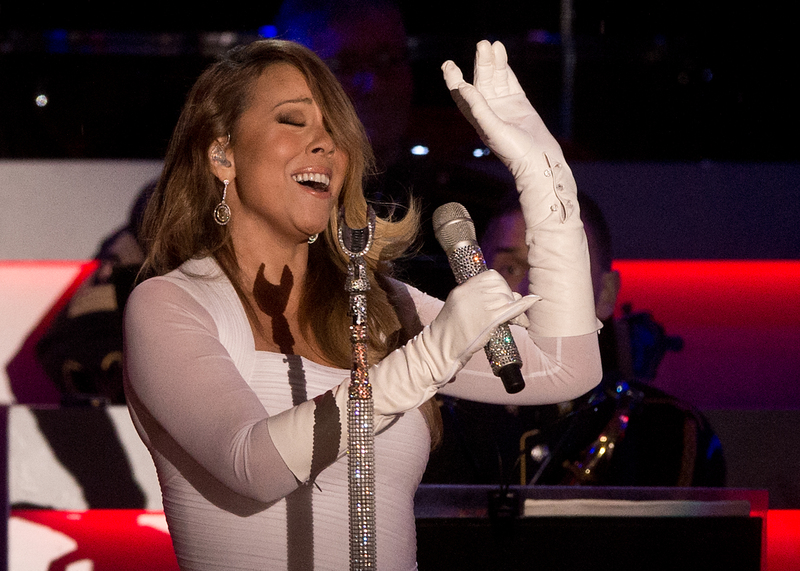 It happened: TMZ reports that Mariah Carey was caught lip-syncing. Technically, this may not not be her first time reportedly slipping up on her pre-recorded lyrics, the last time was as recently as last December, but the recent news is heartbreaking nonetheless. Carey was performing her hit song "Fantasy" at the 2015 Jazz and Blues Festival in Jamaica last Friday when her singing appeared to get kind of choppy. To put it kindly, she forgot a couple of words, mixed up a few lines, got kind of flustered sweaty, and then just kind of gave up and let the background track take over. It's evident that Carey tried to keep it together while maybe faking some of her notes, which makes this all the more devastating. In her defense, let's keep in mind that it was probably humid as hell in Jamaica which probably wreaked havoc on her hair and makeup, at which point she decided she couldn't work like this. It's also possible that she truly wasn't bothered by any of these external conditions and decided she would just phone this one in because she's Mariah Carey and she does what wants. Naturally, there's recorded video evidence of this tragic incident, but just know before you watch: part of you may die inside a little because nothing is real anymore.